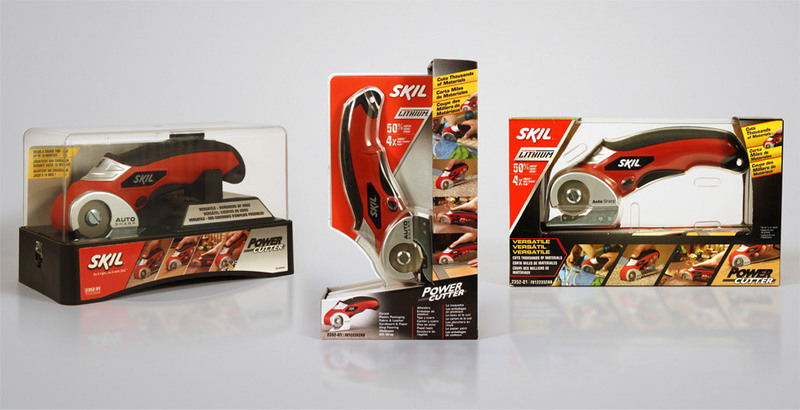 The goal of the SKIL Power Cutter Tool packaging was to make it stand out on shelf calling attention and drawing in consumers. The packaging needed to be different enough to stick out from the other noise on the shelf. Imagine executed prototype creation, engineered this unusual package and designed the graphics to quickly explain the benefits of the Power Cutter.